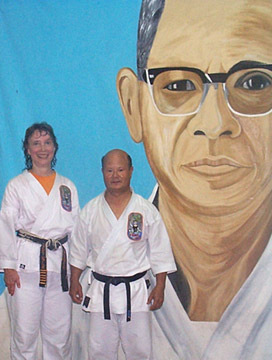 Hanshi Cyndy Jones with Grand Master Kichiro Shimabuku in front of Isshinryu Founder Tatsuo Shimabuku's mural at the Isshinryu World Karate Headquarters in Okinawa, Japan. Master Shimabuku promoted Hanshi Jones to Ku Dan (9th Degree Black Belt) on February 26, 2012, Hachi Dan (8th Degree Black Belt) in April, 2007, Kiyoshi-Go in May, 2005, and gave her the formal title of Hanshi-Go in September, 2013. 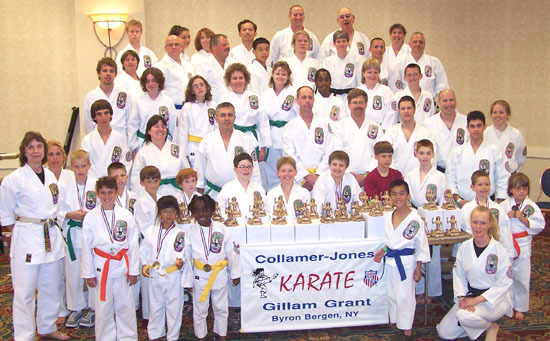 (Top) The 2005 IWKA CJ Karate Tournament Team and coaches with the 50 Mizu Gami trophies won in Akron, Ohio. 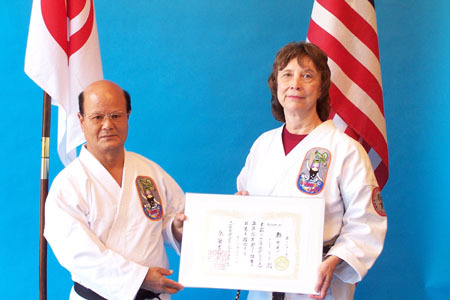 (Lower) Master Shimabuku presents Kiyoshi-Go certificate to Shihan Jones. 6/10/17: Index page and Karate Black Belts sections updated. The Collamer-Jones.com martial arts page is updated on a regular basis as news, promotions and events warrant. You are most welcome to visit what is here today, bookmark it and return later as more information is added. 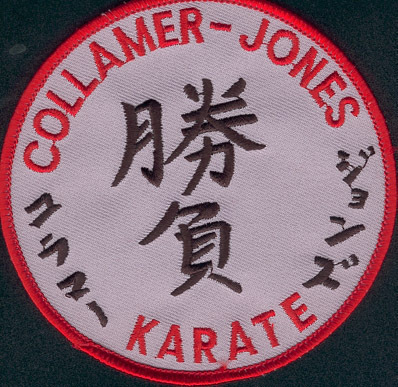 Collamer-Jones.com is a martial arts site. It contains information on the programs taught at Collamer-Jones Karate and affiliated schools which are located in the upstate New York area around Rochester, N.Y. News, promotions and events relating to the school can be found here along with a list of instructors. There is also some biographical information on the Masters and Head Instructors along with some history and content information for Karate, Kali, Jeet Kune Do and Iaido. This site also features links to other related sites, including those of school members and master teachers. The email address is below. The phone number is (585) 548-2801. Karate and JKD classes at the Collamer-Jones Home Dojo in Byron-Bergen, New York can be started any time in 2017-2018. The summer sessions in Karate, Iaido and JKD will start on Saturday July 1, 2017. The Gillam Grant Comunity Center Fall Classes in Karate, Kali, Iaido and JKD conducted by Collamer-Jones Karate at the Byron Bergen Elementary School in Bergen, New York will start on Saturday, October 7, 2017. Call Hanshi Jones (585) 548-2801 for information. The next KARATE BLACK BELT TEST will be in November, 2017. Call Hanshi Jones (585) 548-2801 for information. We will hold a small dojo practice tournament at Gillam Grant on March, 2018. 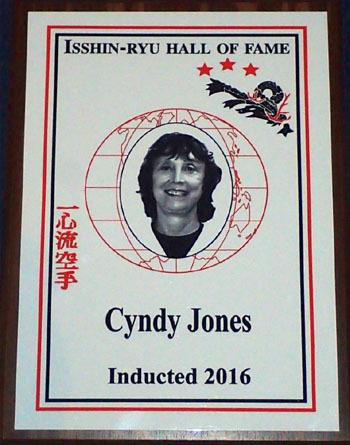 Call Sensei Cynthia Smith (585) 259-5571 or Hanshi Jones (585) 548-2801 for information. I, Cyndy Jones am the person constructing this Collamer-Jones.com website. If you wish to make comments or send me information, Email me at ETomJones@aol.com.